In the past, content creation and search engine optimisation (SEO) were separate disciplines. You’d have one person write your content (maybe you) and then have another person optimise your content for search engines (likely an SEO provider). The process went something like this: You’d write generic content spun from somewhere else on the Web. Then, you’d buy some backlinks and hire a company to adjust page titles and inject keywords throughout your pages. Then, boom, you’d rank on the first page of Google. Today, it’s a much different narrative. Google’s algorithms are more demanding and rising competition requires more work, creativity, and determination. In this article, you’ll learn about optimisation best practices and how quality content is the hero for a patient-producing dental SEO strategy. 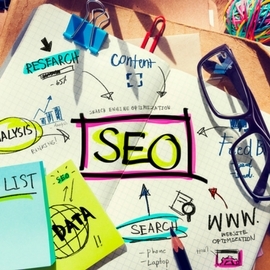 Before even considering running an SEO campaign, you must first understand the basics. While SEO isn’t the “dark art” many providers would have you believe, there are some key guidelines to follow. Not only do these best practices dictate how high your rankings will climb, they can also dictate whether Google boots you from its search results. Google doesn’t take kindly to sneaky tactics intended to manipulate its algorithm. Years ago, such efforts were common – and, frankly, quite effective. Pre-2012, these strategies could have skyrocketed a new website to page one, possibly within a matter of days. But efforts to improve your visibility on the search engines have become more challenging. Keywords and quality backlinks are still important factors in Google’s algorithm. But they’re no longer the only factors. Quality content is at the heart of any successful SEO campaign. Look at it this way: Anyone who searches the Web for information is a customer of Google. Naturally, Google wants to satisfy its customers. Therefore, the search engine must deliver the best solutions in a quick and efficient way. If your website is over-optimised (as in, you’re keyword strategy consists of stuffing “Brisbane dentist” 10 times on a single page), then you’re not meeting the user’s expectations. If, however, you provide content that people find valuable – while including a natural selection of targeted keywords – Google will be more inclined to reward you. How does Google identify “quality” content? Relevant backlinks and social “likeability” are two signals. But something we’ve found increasingly important with our own clients is website engagement. That is, how users interact with pages after landing on them. Google can determine engagement based on a number of factors, including the average time people spend on your site and the average number of pages they visit. Your content is uninspiring: Cookie-cutter content filled with jargon doesn’t keep visitors engaged. Your design isn’t friendly to mobile devices: Your website should display perfectly across desktops, tablets, and mobile devices. Your content isn’t browsable: Headings, bullets, and short paragraphs keep visitors reading. Your design isn’t visually-appealing: While stock photos have their place, custom photography brings personality to your website. 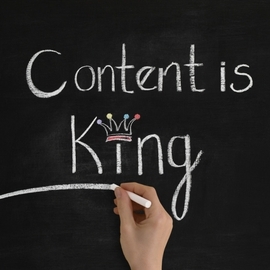 Quality content isn’t just valuable from an SEO perspective. If you want to convert digital visitors into reception room patients, you must “wow” them the moment they land on your site. SEO gets visitors on your site. Your content is what calls them to action. The goal is to differentiate your practice from the competition by telling prospective patients why they should choose you. How do you do this? Address the concerns of your ideal patients and then tell your story in a compelling way. Say that your bread-and-butter are cosmetic dentistry patients. Answer their concerns and then illustrate what it’s like to be your patient. In the end, you want to tell your ideal patient who you are, what you do, and how you stand apart from all the other dentists in their area. 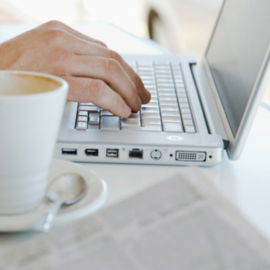 Subscribe to our weekly blog to receive our latest dental marketing tips in your inbox. 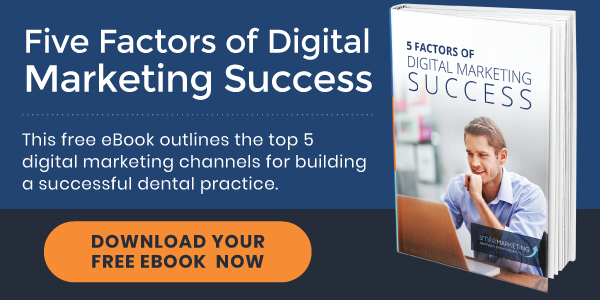 Also, download our free eBook to learn the five factors of digital marketing success.